Decide what class you'd like to take! Or opt for an open studio & choose a project below. Click the class photo to learn more about each class! Book classes below in Step 3. 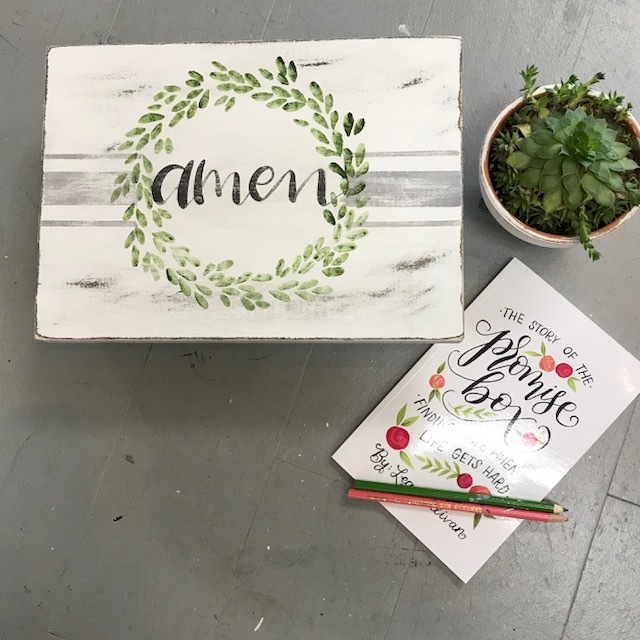 Our open studio class is the perfect time for you to come by and choose from all of our amazing projects! Browse our projects below to see all the options you can choose from. We can't wait to make something with you! Jump in and get your hands dirty! You will learn pottery basics and create your own one of a kind ceramics. Choose from salsa bowls and spoon, coffee mugs, or a tray and dip bowl set. Learn the basics of floral design and how to make your own floral centerpiece just in time for Valentine's Day. Container and succulents can be re-used. Have you ever wanted to learn how to create beautiful hand lettered invitations, or design a beautiful monogram board? Do you want to learn the skills to create a beautiful journaling page? This class will teach you everything you need to know to make your favorite hand lettered projects. Here comes Peter Cottontail complete with bottle brush carrots and stand. Create your own rabbit design to complete your spring decor and learn how to make the adorable bottle bursh carrots from our friend, Angela Overly. Do you have that favorite quote that describes your family perfectly? This is the class for you. Simply type the quote in the notes section (be sure to check spelling), and we will have the stencil cut out and ready for you when you arrive. Your family name will be hand lettered and you will be hands on when you build your own frame. As always you may choose colors and stains to suit your décor. Further your script writing skills in our Hand Lettering 102 class! We'll dive deeper into the writing techniques you learned in Hand Lettering 101, and help you develop your own style. Hand Lettering 101 is a prerequisite for this class. Drop your kiddos off and let them create a one of a kind gift any mom, grandma or special friend would love to have. Small projects are great fun for girls night out events, birthday parties or showers, but this course will take you and your project to the next level. This piece is a part of our newest sessions being offered. Join us for a three hour class where you will learn new skills, gain knowledge and leave with an absolutely beautiful work of art. This is not a wine and dine event, but rather a true technique class teaching you how to create the latest trends on YOUR own. These pieces are selling for $600 and up in home stores, but you can now create your own! 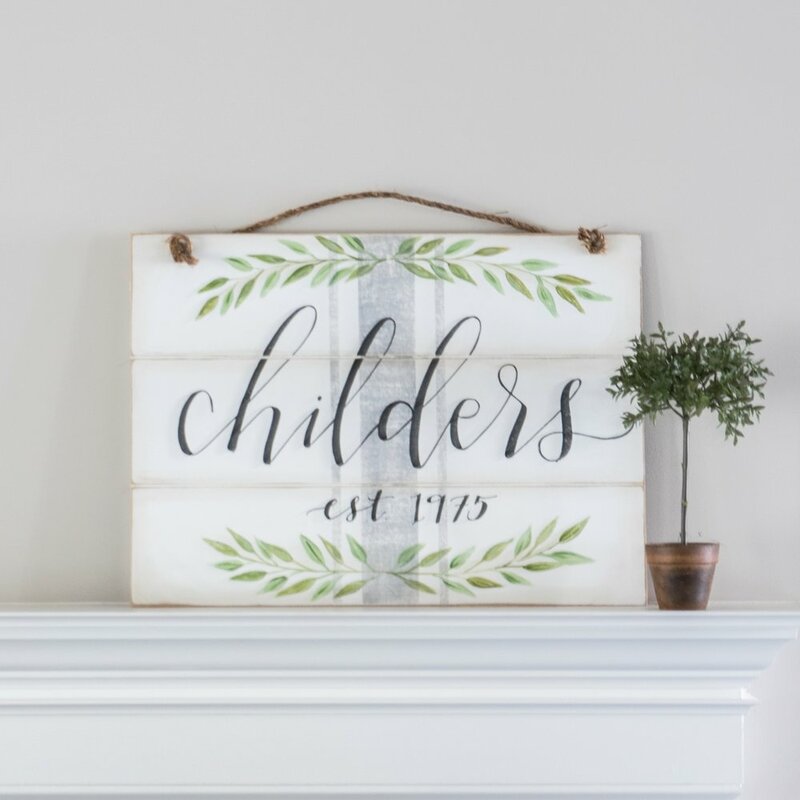 The Modern Farmhouse sign is 24x36. Space is limited for these classes so that personal instruction can be given to each participant, and children are not allowed. You'll make and take home a sugar scrub, bath soak, perfume roller, and linen spray. Infused with essential oils & dried flowers. All made with natural ingredients your body and mind will love. Fun for all ages. If you want to take an Open Studio class, scroll through our in-stock projects, and decide what you'd like to make. Select a date and time below to visit us for a Class or an Open Studio Session. Simply register and pay your deposit, and you’re all set! ***We reserve the right to cancel any class that does not meet our minimum capacity requirement.